Whatcom Electric & Battery is the destination for all of your Automotive, Marine, Industrial, and Powersports charging system needs. From your Alternator to your Battery to your Starter, we have the expertise to keep you on the road for years to come. 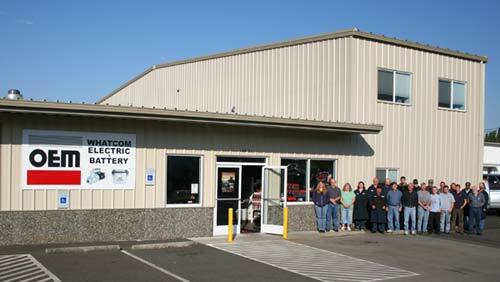 Dan Bell, a nationally known and respected industry expert, founded Whatcom Electric & Battery in 1971. Since then we have built a reputation for the highest standards and one of the lowest return rates in the industry. All of our re-manufactured products must pass stringent tests on the most advanced equipment available before being delivered to our customer. Our catalog is the most comprehensive in our industry, and our ongoing commitment to cataloging starters, alternators and generators helps us to ensure that when no one else has it, Whatcom Electric and Battery can build it. Whatcom Electric and Battery © 2018. All Rights Reserved.